I used to hardly ever make lasagna. Boiling the noodles added too much time to the whole affair, and this coming from someone who loves to be in the kitchen! My resistance was long before no boil lasagna noodles were even heard of. Funny thing, though, I was always confused about if I had to buy “no boil” labeled noodles or if I could just cook the dry noodles in the lasagna with a little recipe tweaking. 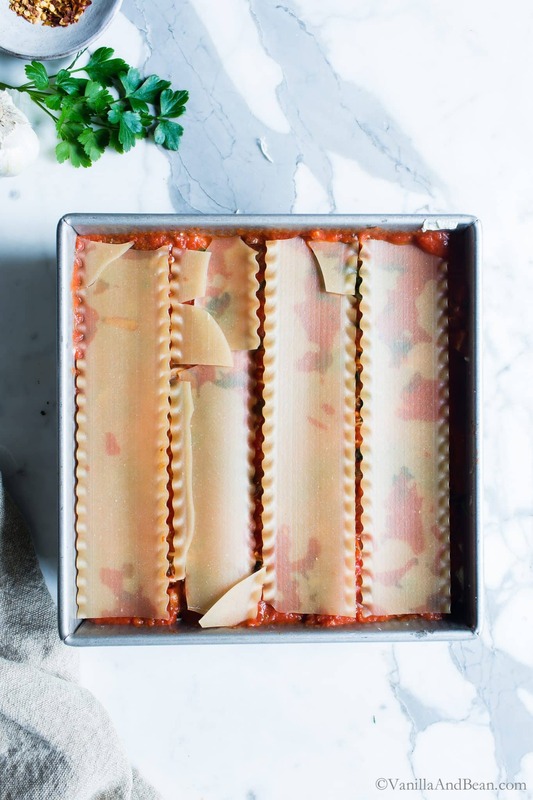 But with time and making lots of lasagnas, I learned that by adding just a bit of water to the sauce mixture, I could simply add the dry lasagna noodles to the lasagna, cover and bake. I’ve found the texture of brown rice lasagna to be appealing and similar to gluten filled pasta. However, one issue I’ve experienced with dry gluten free lasagna is the sheets tend break easily in the box. I find this breakage to be especially true when receiving them from an online order. When this occurs, I simply piece them back together while assembling the lasagna (see below). When purchased at the grocery store, their seems to be less breakage. add just a little bit of water to the sauce. cover the lasagna and bake it for 45-55 minutes, then bake it uncovered for an additional 10-15 minutes. Adding water to the sauce and covering the pan ensures the noodles have enough moisture to cook until tender. During the last 10-15 minutes of uncovered baking and also 10 minutes of rest time out of the oven allows excess moisture to steam off. *Note* I’ve only made gluten free no boil lasagna with the brands listed and linked above. First, sear the mushrooms in a bit of oil. Add the shallots and garlic, then the tomato sauce, paste and water. Stir and warm through. Set aside. Next, squeeze out the water from the thawed spinach. Set aside. 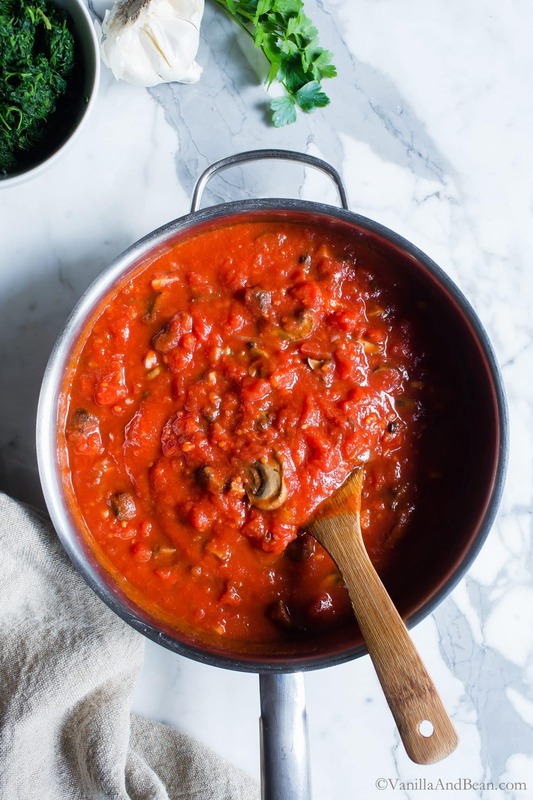 To assemble: in a 9″x 9″x 2 1/4″ pan (deep square pan), spread about a cup of sauce in the bottom. 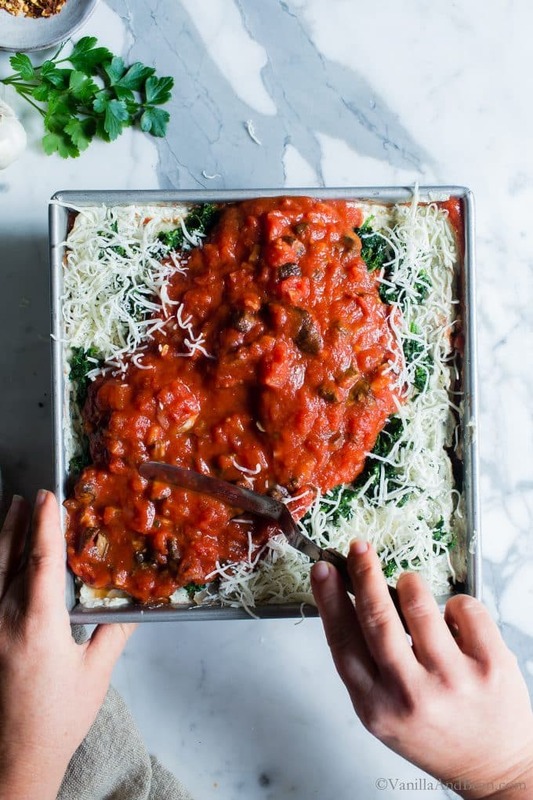 Place four lasagna noodles over the sauce, spread 1/3 of the ricotta mixture over the uncooked noodles, dot 1/3 of the spinach over the ricotta and sprinkle 1/4 of the shredded mozzarella. Repeat this two more times. 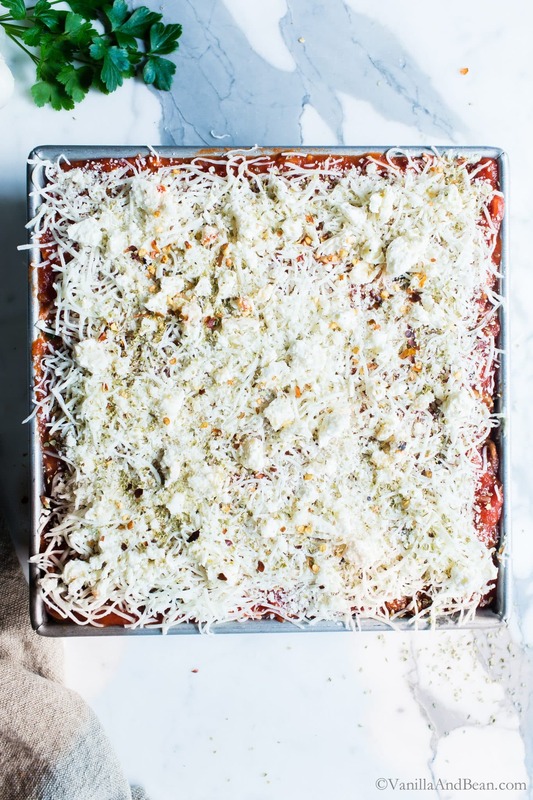 Finish the top of this no boil lasagna with a layer of mozzarella, feta, parmesan, red pepper flakes and dried oregano. 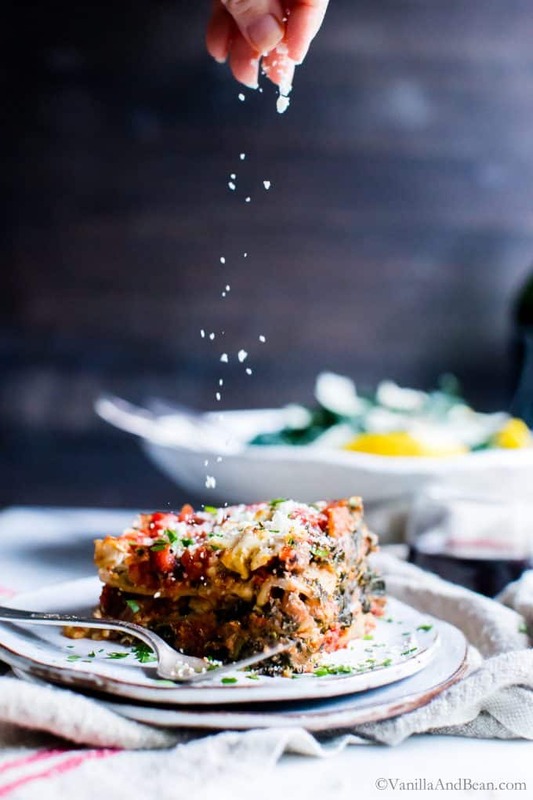 Finally, cover this vegetarian lasagna with foil, tenting it so that it does not touch the top of the lasagna. We don’t want all that cheese sticking to the foil! Bake for 45-55 minutes. When the noodles are tender, remove the foil and bake an additional 10-15 minutes until the tomato sauce is bubbly around the edges and the cheese is melted and golden. 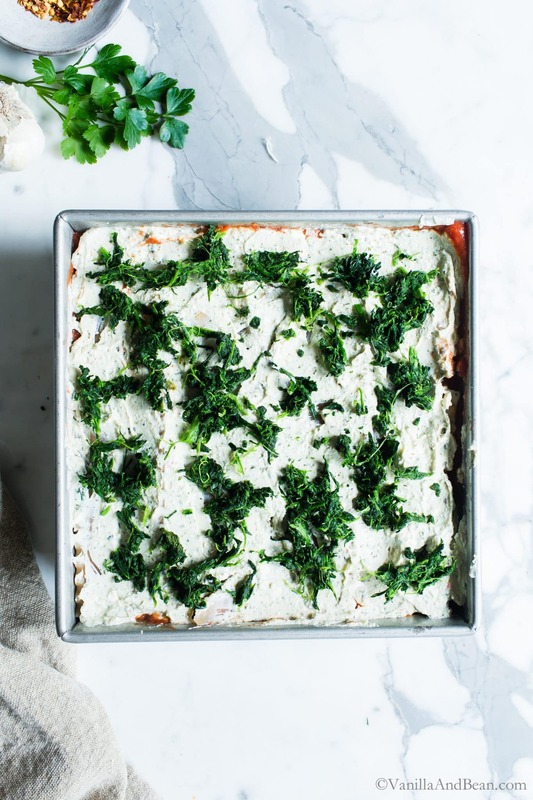 For this vegetarian lasagna recipe I use a deep, 9″ square pan. You can use a 13″x9″ pan, but instead of three layers, you’ll have two. 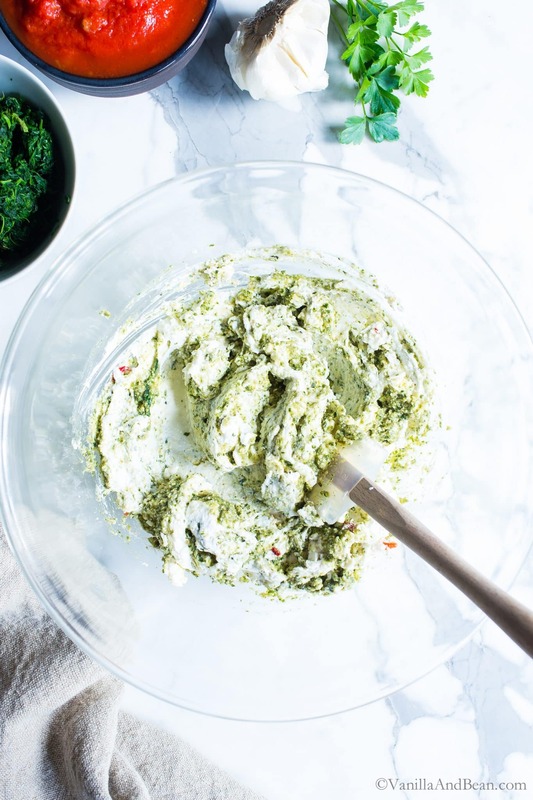 For a bolder, more garlicky-pesto flavor omit the ricotta mixture and replace it with my Pesto-Spinach Whipped Ricotta Dip. 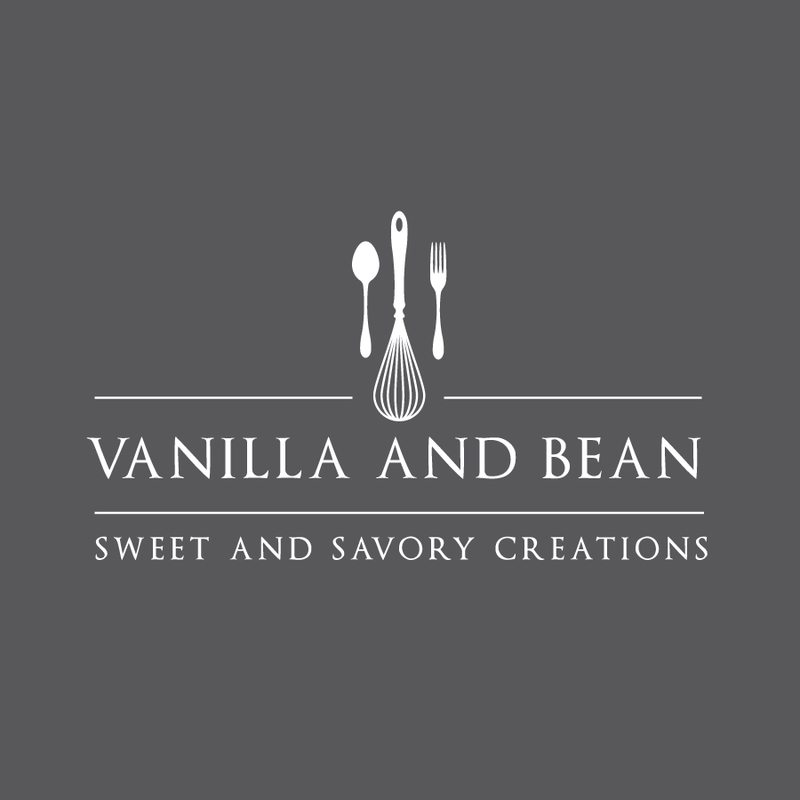 I typically have a jar or two in the freezer and have used it several times in this recipe. It’s just so convenient and delicious! Because pasta can vary in cook time, I start checking the lasagna noodles for doneness after baking the covered lasagna for about 45 minutes. A sharp knife inserted in the center of the lasagna should yield to gentle pressure when the noodles are done. This is when the foil can be removed. Freezer friendly? Yes please! Freeze in individual storage containers for lunch, or in a larger storage container for dinner. Thaw in the fridge overnight and reheat in a 350F (175C) oven, covered, for about 15 minutes. In a large saute pan add the olive oil and bring it to shimmering on medium heat. Add the mushrooms and allow to sear, stirring only occassionally for 7-8 minutes. Adjust heat to medium low as needed. Stir in the shallots, 1/2 Tbs of garlic and tomato paste. Cook on low for one minute. Stir in the pasta sauce, water, 1/4 tsp of red pepper flakes and 1/4 tsp salt. Bring to a simmer. Remove from heat. Taste for salt adjustment and add more if needed. Set aside. In a medium mixing bowl, add the ricotta, pesto, 1/4 C (55g) feta, 1/2 Tbs garlic, a generous few grinds of fresh ground pepper and 1/4 tsp sea salt. Stir throughly to incorporate. Set aside. In the bowl of a strainer, press out as much liquid as possible in the spinach. Use a tea towel to give it a final squeeze or two. It should be very dry. a) Spoon in about 1 C of sauce, just to cover the bottom of the pan. 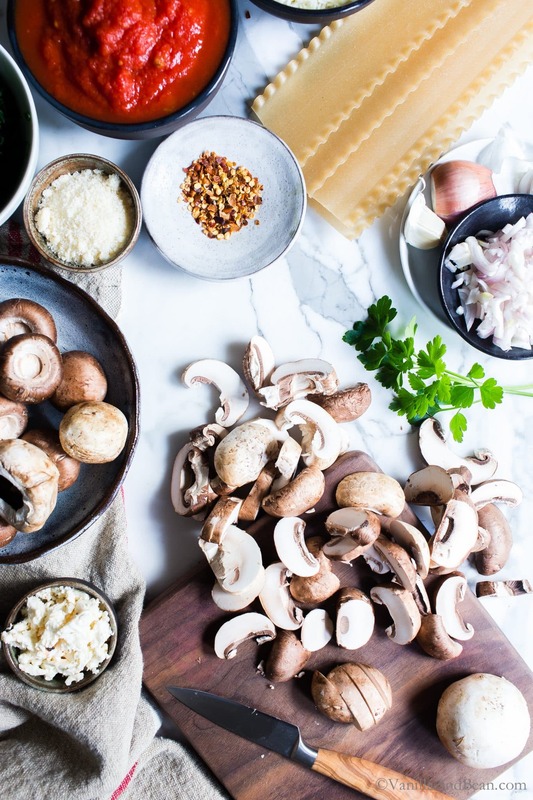 Fish out any mushrooms and put them back in the with the tomato sauce so that the base of the lasagna layers lay flat. b) On top of the sauce, layer 4 uncooked lasagna noodles, snapping an end off to fit (if needed). If any noodles are broken, simply piece them together in position the best you can. c) Smooth 1/3 of the ricotta mixture on top of the uncooked lasagna noodles. d) Evenly dot 1/3 of the spinach over the top of the ricotta. e) Sprinkle 1/4 C of the shredded Mozzarella blend over the spinach. f) Over the mozzarella, spread about 1/3 of the of the remaining pasta sauce. Repeat steps b-f two more times, finishing the top with the remaining mozzarella, feta, a good sprinkle of parmesan, a pinch of dried oregano and 1/4 tsp red pepper flakes. Tent a large piece of foil over the pan, making sure that the edges are sealed. If the foil touches the top of the lasagna it will stick so make sure it's not touching it. Set the pan on a parchment lined sheet pan to catch any sauce that may spill over. Bake the lasagna at 400F (204C) for 45-55 minutes. Depending on type of noodle used (gluten free or not), bake time can vary. I start checking my lasagna at 45 minutes by gently pulling back the foil (be careful, it will be steamy!) and inserting a knife in the center. You're testing to see of the noodles are tender. If a sharp knife gives under gentle pressure, the noodles are done and you can move on to removing the foil. If the pasta doesn't give way to gentle pressure, the lasagna needs more time under the foil. Give it 5-10 more minutes. Reseal the foil being careful to tent it so that the cheese doesn't stick. Just do your best. When you're satisfied that the noodles are about done, remove the foil and bake for an additional 10-15 minutes, or until the lasagna is bubbly, and cheese on top is melty and golden. Darker edges are okay. Remove from oven and let stand at least 10-15 minutes before slicing and sharing. 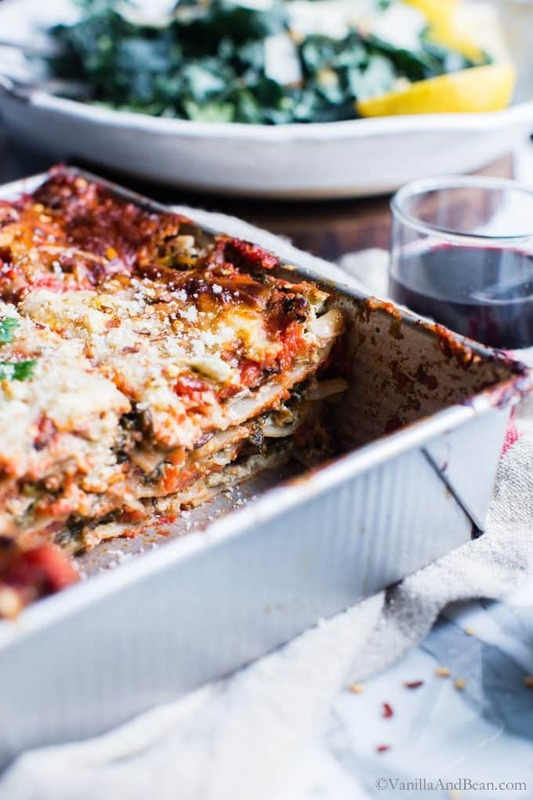 Run a knife around the edges of the lasagna to ease the edges, then cut into nine pieces. Serve with more parmesan, pepper flakes, fresh parsley or basil and fresh ground pepper. Cool completely before freezing. I freeze in individual cut pieces in a lidded container for easy dinners or in individual lunch portions. Thaw in the fridge overnight and reheat in a 350F oven for about 15 minutes. *If not gluten free, try Bionaturae Whole Wheat Lasagna Noodles. They're delicious and work well in this recipe. **Parmesan Cheese: Look for vegetarian friendly Parmesan cheese (one that does not use rennet in production). BelGioioso and Organic Valley offer vegetarian friendly cheese. I found this comprehensive list that shows brands who produce vegetarian friendly parmesan cheese. For more information, check directly with your preferred cheese maker. Disclosure: I received lasagna noodle samples from Jovial and Taste Republic. All opinions are my own. So happy to hear Lewis! Thank you for your note! 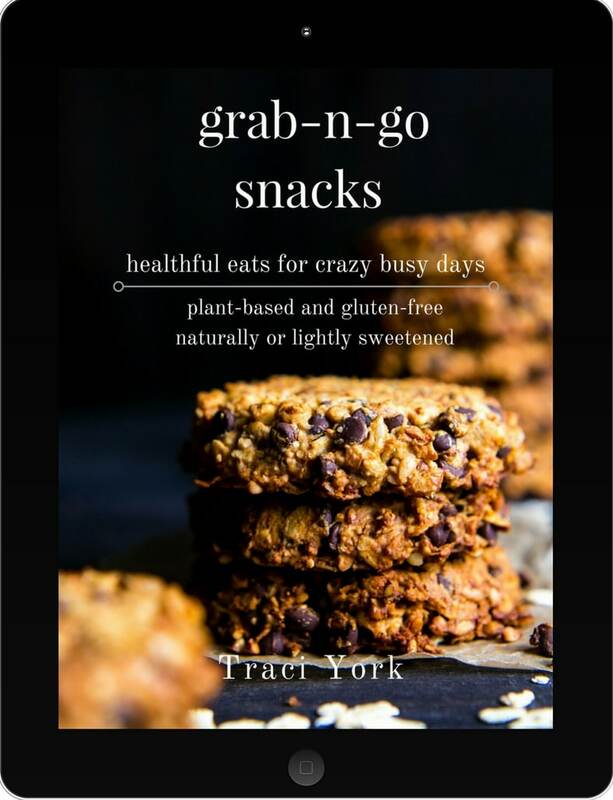 I love lasagna, Traci – but don’t make it very often because it’s seems too time consuming to make. So I LOVE the idea of skipping a step and not boiling the noodles before hand. The tip about adding a little extra water makes total sense. Love all the veggies and the feta (my favorite) that you’ve added. Our weather has been very cool and rainy here – so this will make the perfect dinner! Traci! I am absolutely saving this recipe! 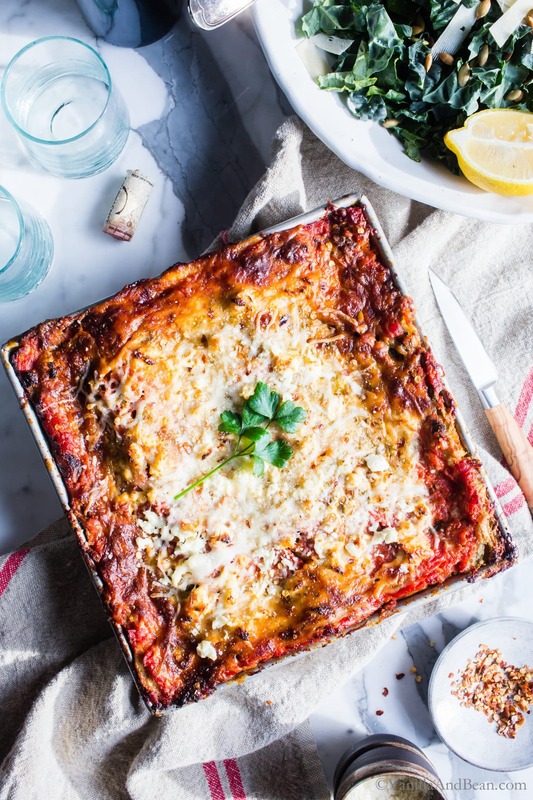 I’m of the “do I boil or not” lasagna noodle camp and often shy away from making it cause it makes SO much and then there’s all that gluten… First of all, this looks amazing, but the fact that you made it in a smaller pan AND you have gluten-free noodle options, I’m all in! Such a fantastic comfort food dish Traci! I never boil my lasagna noodles anymore. So much easier! Even Mr. Picky would totally enjoy this. He loves mushrooms and has really been coming around to spinach too. Miracles do happen! Your photos are just beautiful too Traci. They are leaving me incredibly hungry! Lasagna holds a special place in my heart…it’s the meal my gram made for all of the big holidays, and it was incredible. I can still see her at the oven peaking in to see when it was perfectly set and ready for her family. I love your recipe! This is a keeper, my friend! I knew it would, Annie! And I bet you have that recipe your gram made for you too. 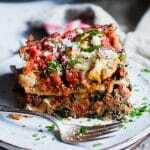 Seems there’s so many recipes for lasagna… I love it’s versatility! Very much looking forward to trying this tonight! Do you think using fresh spinach instead of frozen affect the othe steps? Hi Hannah! I’ve used fresh spinach in this recipe before, but it requires an extra step. You’ll need two big bunches since it wilts down a great deal. Steam the spinach in a large saute pan until it wilts – about 1-2 minutes. Then, let it cool and squeeze out all the water. Use it as you would the frozen spinach. I hope this helps and you enjoy the recipe! Lasagna holds a special spot in comfort foods for me as it’s one of my favorite things my Mom used to make. 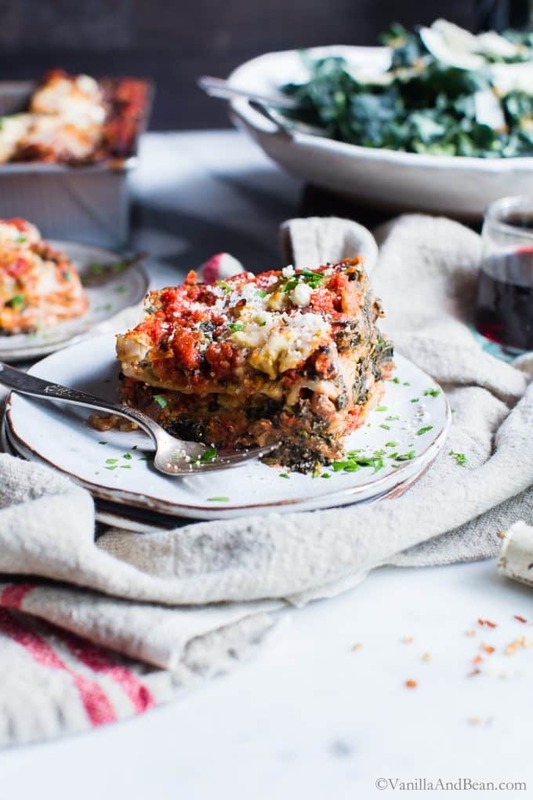 While I’m a ‘shroom lover the rest of my family just can’t quite get on board (though my son is and an excellent forager) but we are fans of your butternut squash and kale lasagna. 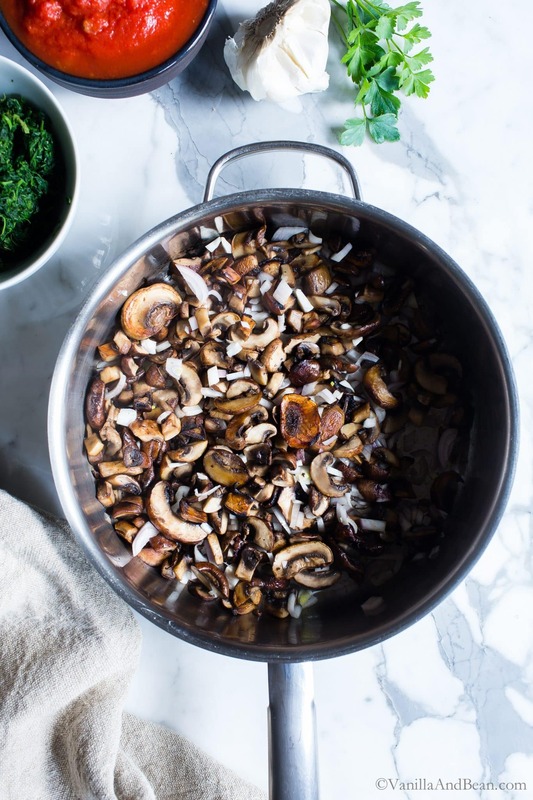 I may have to try this recipe without the addition of the mushrooms to the sauce. The arctic chill has definitely been calling for a dish like this! Stay warm, Traci! I LOL at your ‘shroom lover comment. My hubs is not a fan either, so I chop them small and he doesn’t notice. I love that butternut lasagna too! I hope you enjoy this one the same, Jean! Y’all stay warm… they’re calling for snow here on Sunday! :o !! Oh my this looks SO SO comforting. Polar vortex be damned! And so happy to be able to skip the step of boiling the noodles. I’m all about taking any shortcuts I can get!